Hand poured 4oz soy wax tins available in 8 everyday fragrances and 4 holiday scents. A great size candle for a small space. Perfect on a floating shelf, the computer desk, or bathroom counter. 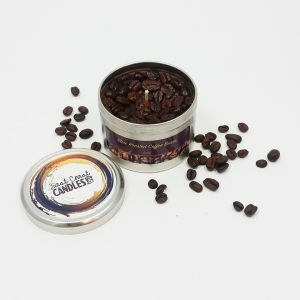 4oz seamless tin with lid and kraft scent label.